Liverpool hero Roberto Firmino has become one of the best forwards on the planet! 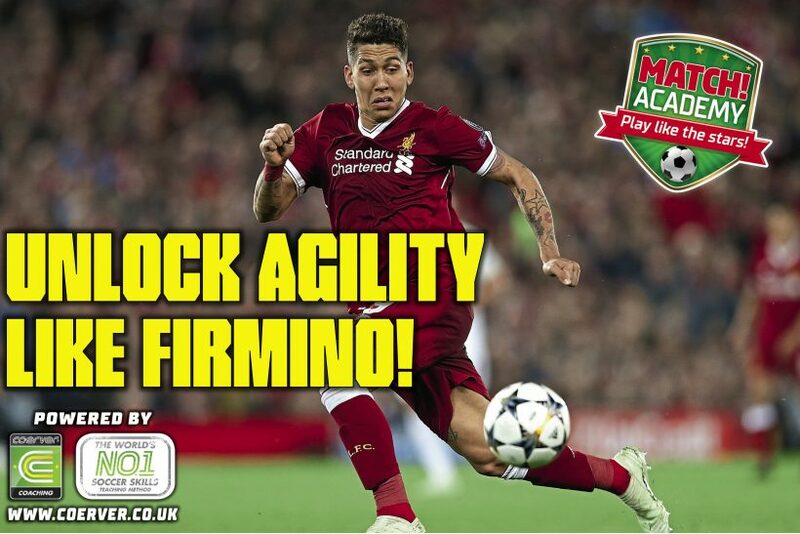 Here are some tips and tricks, plus a sick drill to boost agility – just like Firmino does! Awesome Liverpool forward Roberto Firmino is an expert at twisting and turning his way past any opponent! To own defenders like the Samba king, keep the ball close using your furthest foot from the defender and use your upper body for protection. Also, have soft knees so you can change direction really quickly! When the Brazilian magician wants to create space to run, pass or shoot, he takes a diagonal touch away from the direction he wants to move into. This makes the defender move across to block him, before Bobby busts out the Pull Spin move to burn away into the space! 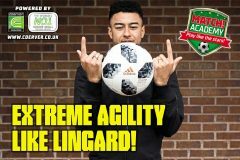 Watch out for him doing this in the CL final! Perform the Pull Push Ball Mastery skill with 10 touches. Travel with the ball using your left foot around the first cone turning left. Continue travelling with the ball using your left foot around the remaining two cones turning right. 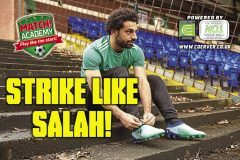 Now, perform a Pull Spin 1 v 1 Move, using your right foot to pull and your left foot to spin, then finish into the target goal with your right foot.